Casino-based games ruled the mobile gaming world before MMO’s came around. This new blend of strategy-based games brought many tittles with it. 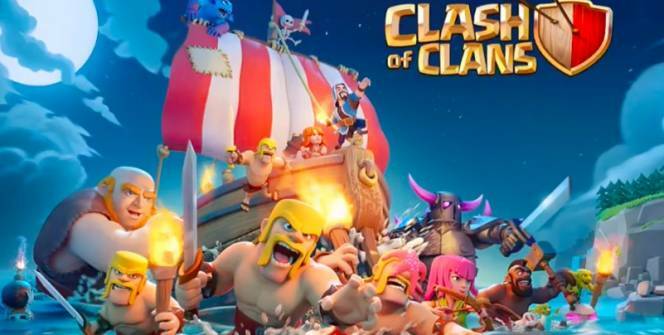 Clash of Clans developed by Supercell is one of the few that are worth mentioning. Strategy-based games are designed around two basic principles – destroy your enemies; amass enough resources to build fortresses on the ashes of your fallen foes. 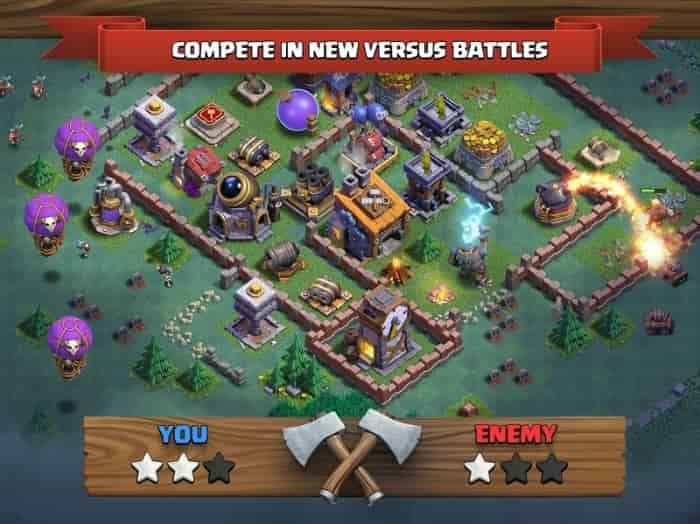 Start off Clash of Clans by acquiring enough resources to build your home fort then explore the expansive maps and look for more. More resources will allow you to build a stronger fortress with cannons and walls which makes resource-finding a critical part of the game. Once you are confident in the ability of your fortress to stay secure then you can start planning on how to take down enemy fortresses. The strength of your army is largely dependent on whether you can fund their growth. Upgrading your mines gives you access to a four-tier troop system with 18 different classes of warrior. When your army is large enough you can join another clan and combine forces in climbing up the global leaderboards. Many games in this genre make use of an energy bar to restrict how long you can play at one go. Clash of Clans for PC doesn’t use this energy bar so how much you grow depends on how much gold you can amass from your mining operations. This model works better because hard work and effort are rewarded rather than doing as much as possible in a limited time-frame. The drawback to this system is that getting all that wealth takes time. The amount of gold required to go on a single quest requires days of acquiring resources. The mundane resource-extraction process becomes so tedious that you’re tempted to just make an in-app purchase. Quests take a long time as well but you don’t have to sit around and wait for them to finish. In the meantime, you can take your skills to the 1v1 arena and compete with AI-goblins or take on other players. The process allows new players to learn more about the finer intricacies of the game. Deploying troops, for example, is fun and destructive however troops once used can’t be reclaimed whether you win or lose. The troops do most of the work for you however you still need to deploy them wisely. No energy bar system means players can stay online as long as they like. This means that players can enjoy the most of the online chat resources and constant PvP battles. And for those not interested in socializing, there’s an NPC option for arena battles. The steep demand for resources is very limiting and increases the pressure to make in-app purchases. 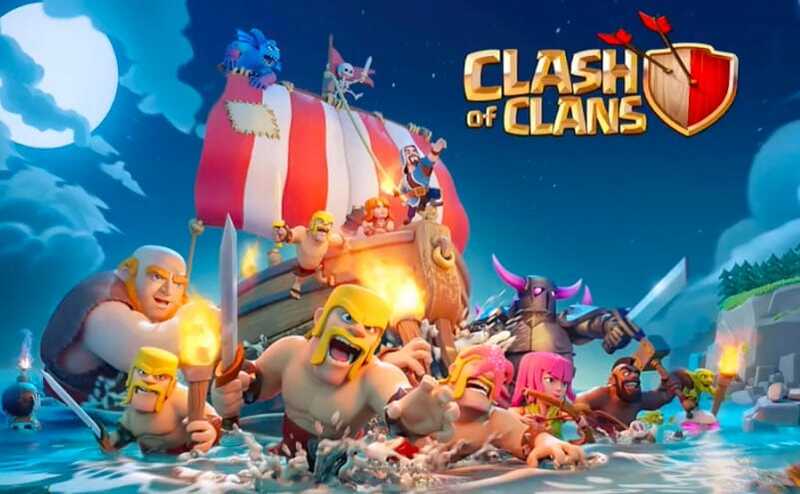 Clash of Clans for PC is a brilliant addition to the MMO genre and its simplicity is what makes is so good. It serves its purpose as a game that you to play to pass idle time and that shows in how little there is to actually do. Sometimes when playing Clash of Clans, bluestacks ask you fee to pay but gives you option to download some apps. Every time it asks you just select “Install apps” and continue using it free. I hope you enjoyed this article, please rate and share. If you have problems running Clash of Clans on your desktop or any other issues, leave a comment below.